Violet is a highly accomplished debut feature led by Flemish writer/director Bas Devos, director of photography Nicolas Karakatsanis, sound designer Boris Debackere, and a perfectly cast team of actors. Flashes of violet (the last color on the visible spectrum), and the story opens on a bank of security cameras capturing the attempted robbery and fatal stabbing of a teenage boy in a mall. The lone physical witness to the murder is his friend Jesse (Cesar De Sutter), cowering in a shop doorway, unsure of what he is seeing. A visual poem shot on 65mm film and the digital Alexa, Violet effectively captures Jesse’s heightened sensitivity to his surroundings as he tries to come to terms with an irrevocably changed life in the wake of a friend’s murder. That the audience cannot see all of the security cameras contributes to a sense that we are not seeing some things that might be essential, as we follow Jesse and his struggle to cope with this horrific event over the next several days. 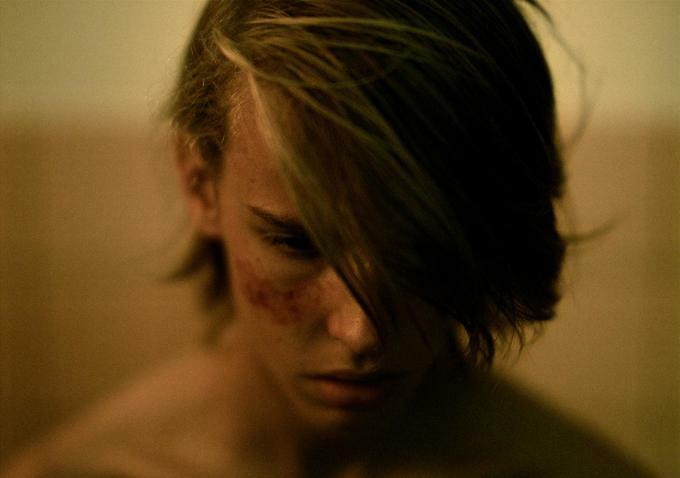 Normal teenage preoccupations with courage and cowardice, acceptance and ostracism are heightened by Jesse’s survivor’s guilt and the suspicion that even his mother and father may look at him differently, as do his BMX rider mates who openly wonder how Jesse survived without any visible harm while their friend was stabbed to death. Winner of the Berlin Generation 14plus Grand Prix (Best Feature Film) and Best Original Music and Sound Design of the Ghent International Film Festival, Violet should get a second look for North American theatrical release.